With the seasons changing over from Summer to Fall, I can't help but find myself starting to gravitate towards more vampy lip shades. 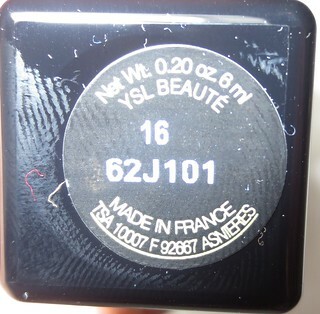 One of my all time favourite lip products is YSL's Glossy Stain in the shade #16 Pourpre Preview ($36 CAD). This shade is a great transition colour, because it's a beautiful purple shade, but it isn't too vampy. "What it is: A revolutionary new lip product that combines the texture and shine of a gloss with the long wear of a stain. This was my first Glossy Stain that I bought, and I instantly fell in love with the formula! These Glossy Stains apply with a very wet, cold feeling, and then they dry to a slightly tacky finish. I apply the first coat, let it dry for about 30 seconds. Then I add the second coat, which helps deepen the colour. 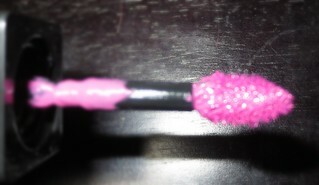 #16 Pourpre Preview is a beautiful purple shade with pink undertones. This shade is a bit bright, but I still find it very wearable. What I love most about these is the amazing long-lasting formula! Whenever I have a night out I reach for YSL's Glossy Stains, because I know that they won't wear off. These really do stain my lips, and the stain lasts for about 7-8 hours! The hydrating effects of this product last for about 4 hours, and then I simply apply a clear lip balm over top. The colour won't come off when you're eating or drinking, so you don't have to worry about constantly reapplying your lip colour when out with friends. 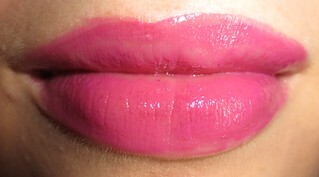 These Glossy Stains are really expensive, but I think that they are worth it if you find a shade that you really love. Have you tried any of YSL's Glossy Stains? I really want to pick up another shade, which ones do you recommend? I love the color its perfect for fall even spring great job doll. I've never tried A YSL Glossy Stain lip product, but I really want to! The fact that it stays on for several hours is awesome. I don't think I own any glosses that are like that. Great post! What a gorgeous shade - it looks amazing on you! This is such a gorgeous color!! A great all year long color! Thanks for making this review. These have been on my wish list for a while now.